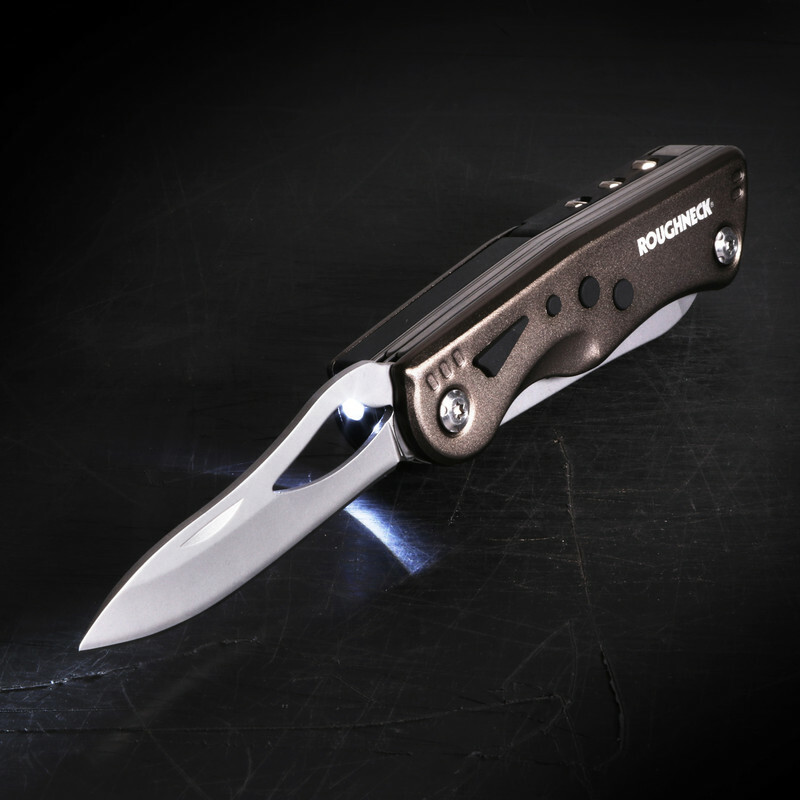 Anodised aluminium handle with matte finish. 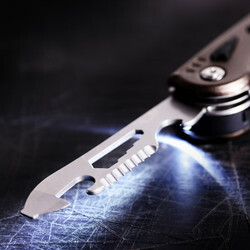 Stainless steel blades and durable CRV bits. 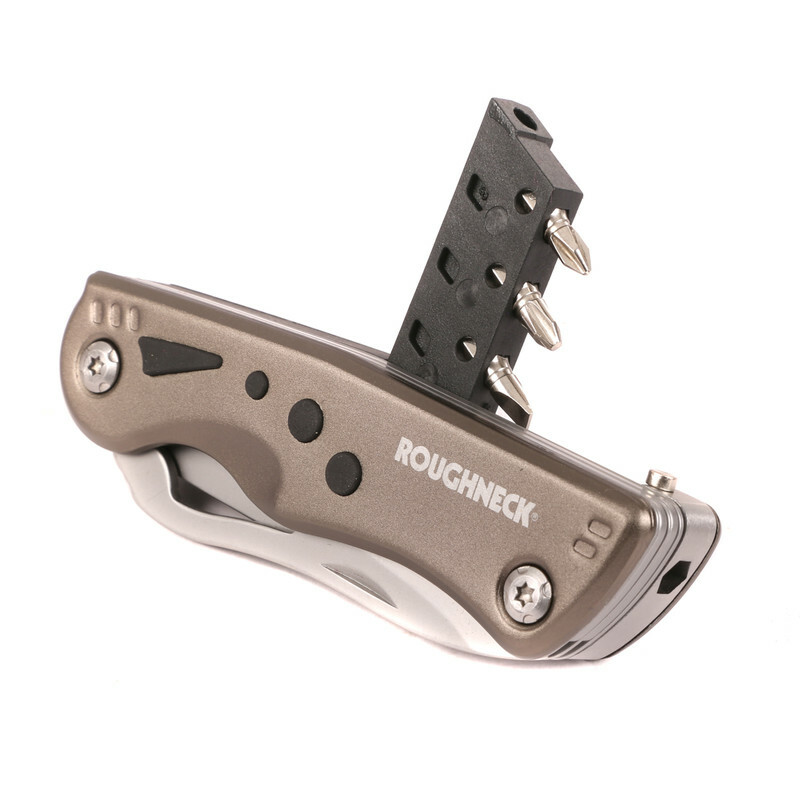 Supplied in nylon pouch with belt attachment. 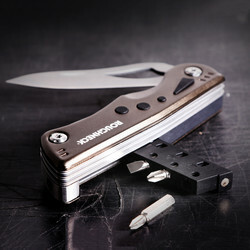 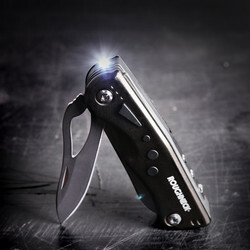 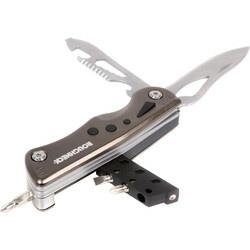 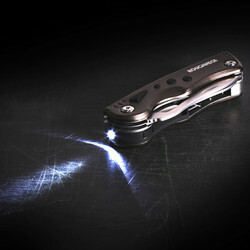 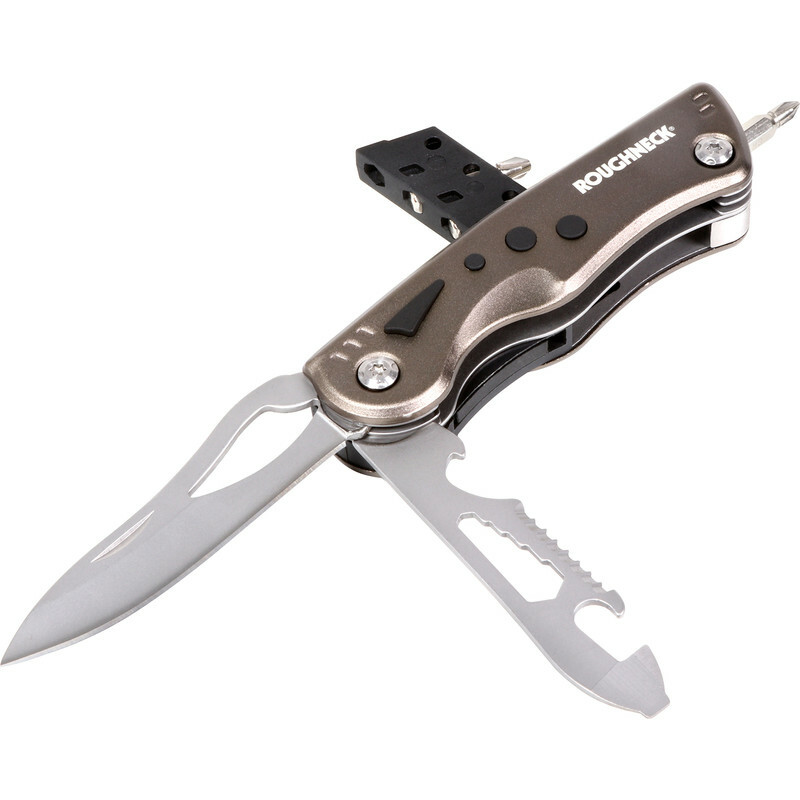 9 functions: knife, saw, bottle opener, can opener, hexagonal bolt driver, insert bits x 3, LED torch.